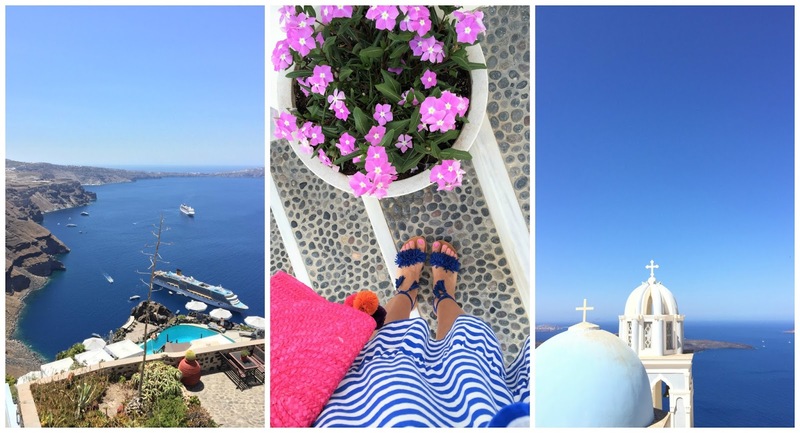 Is Santorini as magical as everyone says? No. It is better. I have been 3 times and would go again and again. Everytime I discover something new about it. Its beauty is rough yet polished and divine. Santorini has a special place in my heart for some unknown reason. I can’t stress enough how important it is to pre-book tickets. It is not the end of the world if you do not, but it will make your travel less stressful and one less expense you have to worry about it during your travel. 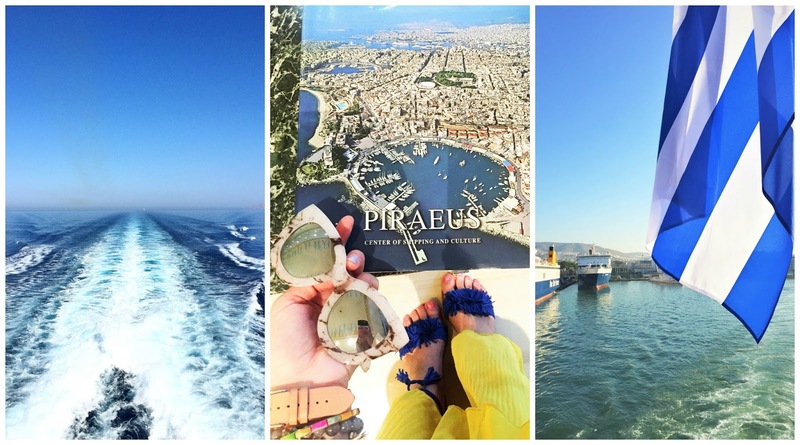 You can either get to Santorini by ferry or by airplane from Athens. As someone that has traveled back and forth between Greece and Canada (11 hour flight) my recommendation is to always stay a couple of days in Athens to recover from jet lag before you jet off to your islands. Two days in Athens, then take the ferry to Santorini from Pireaus Port and then from Santorini fly back to Athens. This is the best combo you can have. For ferries, I always pre-book with Super Fast Ferries. It is faster than other ferries, not by much, but I’ll take 5 hours instead of a 7 hour ferry ride. I usually get the Air Seats, although when we went last summer to Santorini, we ended up sitting on the deck which is usually Economy class.In Economy class you find a spot, you take it. Air Seats are numbered. I actually liked sitting in Economy class, being outside and enjoying the sun sipping on my frappe, but it is not meant for napping (chairs are plastic). So if you want to nap, go for the Air Seats which are much more comfy. If you are on a budget go for Blue Fast Ferries which is more affordable (about 37 euros round trip each person), but it’s slower. Flying back from Santorini. Aegean Airlines is the airline we used to fly back to Athens. Flights are not frequent and they book really quickly. I would recommend you book your flights within Greece asap! The flight to Athens from Santorini is 45 minutes and for two people it costs around $450. It may seem like a large sum considering the ferry is only $126 for two people but it is worth it. 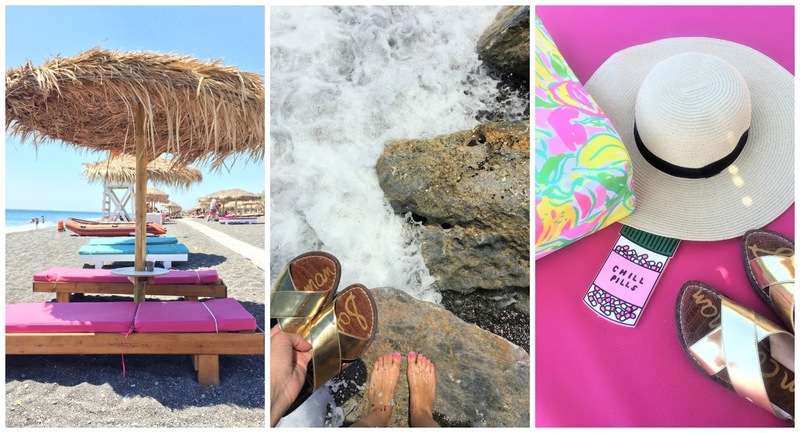 Stop thinking Greece is a tropical destination with sunny weather all year around. Everyone always assumes this. Greece has seasons. Please do not plan to go to Santorini in October. You will be faced with fall weather and you will not be able to swim or enjoy summer like weather. 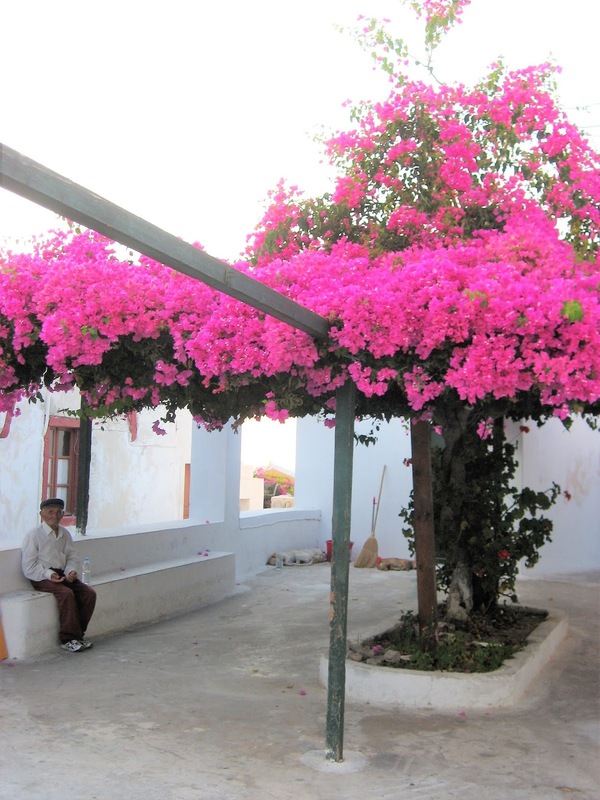 A visit to Santorini is ideal between end of May to mid September. 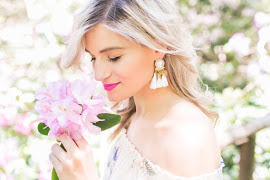 I have always gone to Greece in July and early September, although I would love to go back in Spring to experience the island in a different season. It is up to your discretion how long you want to stay in Santorini. I have stayed there for 3 nights and I have also stayed there 5 nights. If you have a limited time in Greece I say ideally you want to spend between 3-4 nights if you really want to get to know the island. If you just want to come, take pictures, see the epic sunset in Oia and leave then 2 nights should also be sufficient. Santorini is a gem when it comes to accommodations. An expensive gem. Book early! I cannot stress how important this is. Especially if you are on a budget you want to ensure you book early to get a good value hotel for your money. If you wait too long your option will be either the 1 Star Hotels or the $1000 per night hotels. If you want to get a sunset worthy hotel you will have to pay for it $$$$$. Caldera view hotels range from $400 to $1000 a night. I absolutely loved the hotel we stayed at and I would definitely recommend to anyone who is willing to spend a little bit more. You can read more about our stay at Agali Houses in Thirostefani. We rented a car in Santorini. Scooters are dangerous, do not rent one. Locals will also tell you that it is not safe. Santorini has cliffs everywhere with the narrowest streets ever. If you are staying in Thira. the bus system is amazing and takes you to all the beaches you will need to go as well as Oia, but it does get crowded especially the one that goes to Oia. Kamiran and I rented a car since we wanted to be on our own schedule. ATVs are also safer than scooters. If you do rent a car and you decide to drive to Oia go at least 3 hours in advance, otherwise you may not be able to find parking. You could also walk from Thira to Oia but that’s a 3 hour hike so not ideal. I did the Volcano Tour the first time I visited Santorini, just because I thought it was the thing to do. My recommendation would be to skip the Volcano Tour. If you want to occupy your day with something do it since it is nicely planned out, but you are not missing much. However, if you want to get a view of the entire caldera from afar then doing the volcano tour will give you that view because it is situated across from the town. If you are a person that is not fond of tourists I would say Santorini is not for you. Between May and September Santorini is packed with tourists. 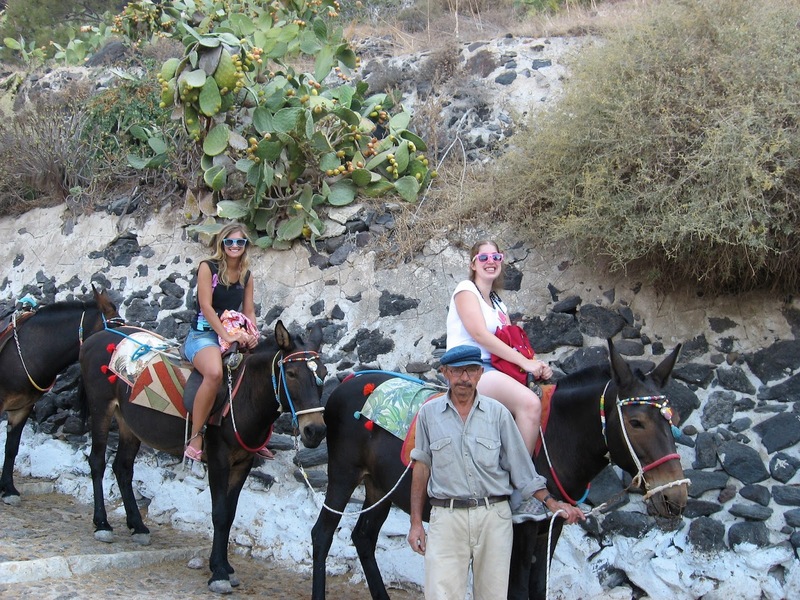 I personally, I have been to Santorini during high season but never felt that the island was over packed with tourists. My bestie on the other hand who I went to Santorini with a couple years ago who doesn’t like tourists, said that there was too many of them. If you would prefer less traffic go early September when most crowds have cleared. August by far will be the busiest month because that is also when Greeks take their summer vacay. Santorini is not a stroller friendly island. Please spare yourself if you have a baby and do not go to Santorini. I have seen tons of moms with their strollers and they are struggling to push the stroller on the cobblestone paths. Also, please bring flats. This is not an island you want to be wearing heels and wedges. Santorini has a long wine-making history. 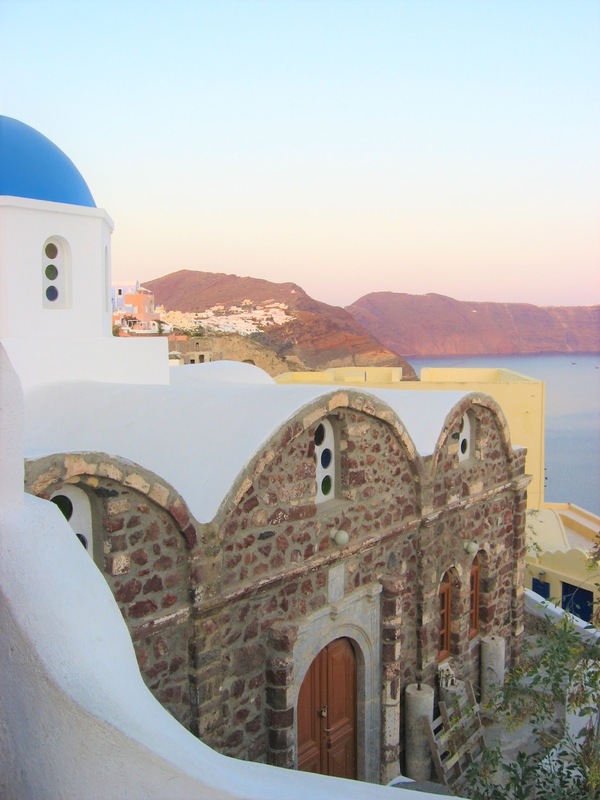 Due to its volcanic soil, warm and dry climate; Santorini is perfect for wine-making. It is known for specialty wine like Mezzo, Vinsanto, and Nychteri. We had two wineries on our radar to go to. Santo Wines and Venetsanos Winery. We ended up going to Venetsanos and we loved it. We did a wine tasting and paired it with a charcuterie board and a couple of dips. It was a windy evening, but the sunset was incredible. You get a panoramic view of the entire island. It was one of the most romantic evenings I ever had. Another great option is Santo Wines Winery, but I have heard the view is not as wide. 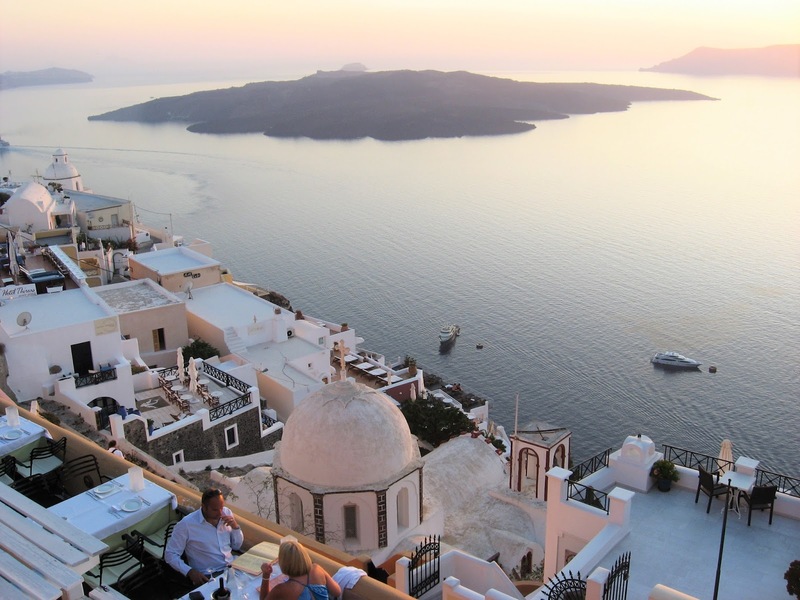 No matter where you are in Santorini, chances are you will be able to enjoy a meal with a view. In terms of authentic Greek food I would say for the most part all of the food you will order will be authentic Greek. Some must-try foods in Greece/Santorini are: Moussaka, Pastitsio, fava beans, Greek Salad or Choriatiki (non of the lettuce Greek Salad nonsense), Ntomatokeftedes, Dolmadakia, Saganaki, Tiropita, Spanakopita, tzatziki dip, Yemista, Gyro (duh! lol. You are no Greek if you don’t eat Gyro. Desserts to try: Galaktoboureko, Kantaifi, Halva, Ravani, Loukoumades, Kok. 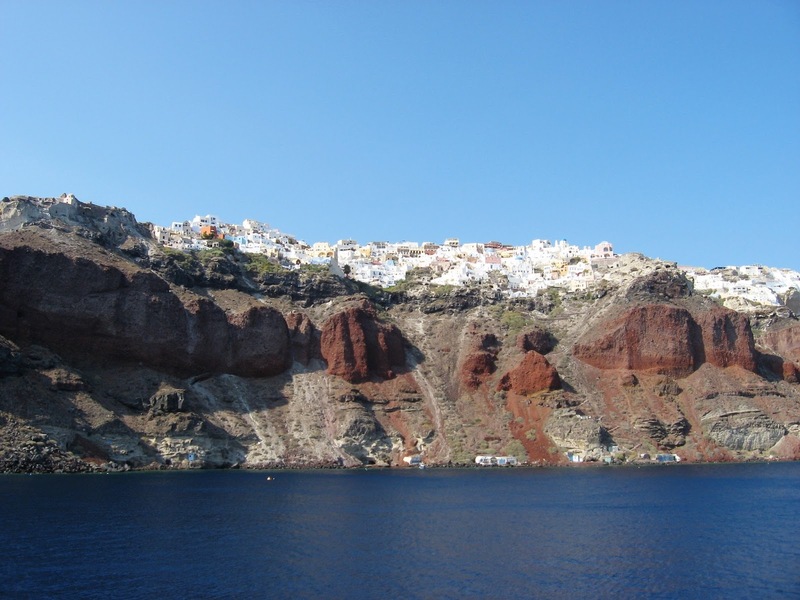 Walking along the caldera is my favourite thing to do in Santorini. Grab a coffee, wear a hat if it is morning, lather on the sunscreen and start walking along the caldera to explore the Grecian beauty the island hides. Overlooking the volcano, the cliffs have such a majestic landscape it is unreal. It gets to me everytime. I would also hike to Skaros Rock. I haven’t had the chance to do it yet because it is quite a hike and I always seem to forget to bring extra sunscreen with me. It is hard to pinpoint only one spot that the best for watching the sunset. Our hotel was situated in Firostefani but we had a beautiful view of the sunset from our suite’s terrace. 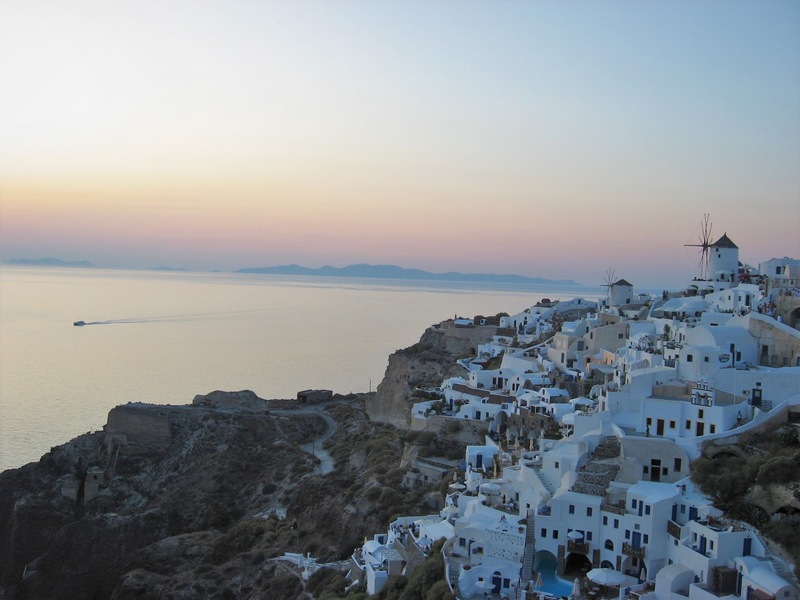 Oia is probably your best bet when it comes to watching the Sunset and it is one of the most photographed villages in Greece if you are not staying at a hotel that is on the caldera. But, Oia is also extremely crowded, so again go well in advance to get a good spot. I also recommended going to a restaurant that is situated on the caldera and watching the sunset from there while you are eating. Oia has tons of little cute taverns hanging at the edge of the cliffs. Venetsanos Winery also has a spectacular view of the sunset but the sunset does appear a little further in distance than it would if you were to watch it in Oia. I was also recommended by a local to go to Profitis Ilias. A little monetary high up on a mountain that oversees the island. It is on my list of things to do next time I go to Santorini. If you are looking for an island with breath taking beaches, Santorini is not the one. Even though all of the beaches are nice, and there is by no means anything wrong with them I personally do not believe they capture the clear blue water beauty of the Mediterranean sea. This is due to the volcanic eruption. The sand is little black,red and white pebbles, and the water is a navy blue. if you are looking for turquoise waters I would go elsewhere like Zakinthos, Lefkada, Milos, Crete to name a few. There you go my flaneurs! Santorini; The island where magic begins and happiness never ends. Hope the guide was useful, super long but I wanted to be as helpful as possible. If there is anything else you want to know let me know below. Happy Travels! This is such a great, detailed guide! Your trip looks so beautiful. Will definitely refer back to this if I'm lucky enough to visit Greece one day!